This is a free event for parents and carers of people with intellectual disability. Venue: Glenmore Park Community Centre, Luttrell Street, Glenmore Park. The topic of sexuality can be an area of concern for parents and carers of people with intellectual disability. They are often worried about opening a 'can of worms' by talking about sexuality. People with intellectual disability are often assumed to be non-sexual and fears around exploitation and hurtful situations are persistent realities. Research shows there is no difference in the sexual desires and needs of people with intellectual disability and people without disability. Sexuality education for people with intellectual disability has been proven to increase knowledge and self-esteem, facilitate community participation, and improve decision making and self-protection skills. 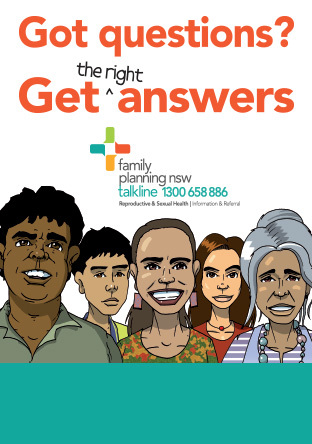 Family Planning NSW provides parents and carers with much needed information and resources about sexuality and relationships. Our forums help parents and carers to gain a clearer understanding of sexuality for a person with disability and how to support their personal development in a positive way. Parents, foster parents, relatives and other unpaid carers of people with disability are welcome. Find out how to support your family member's personal development and sexuality in a positive way. This is a ticketed event kindly funded by Nepean Blue Mountains Local Health District and includes light refreshments.